On the weekend I wanted to showcase some of my recently acquired accessories and I thought this dress would provide the perfect platform. I usually have a pretty strict criteria when it comes to black dresses; I prefer as much detailing as possible so it doesn’t look too plain (since wearing black is a little different from my usual colourful and patterned outfits). 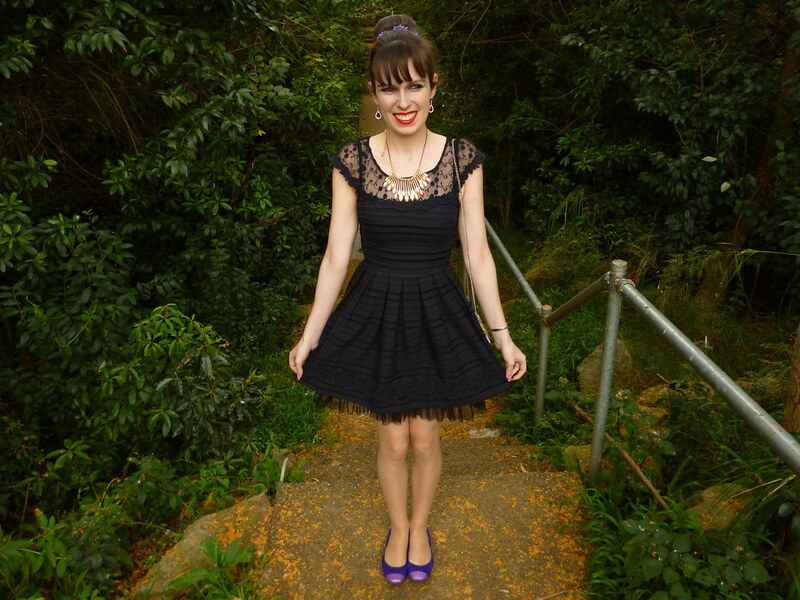 Im very happy with the black dress collection I’ve acquired over the years. My favourites are here, here and here.. 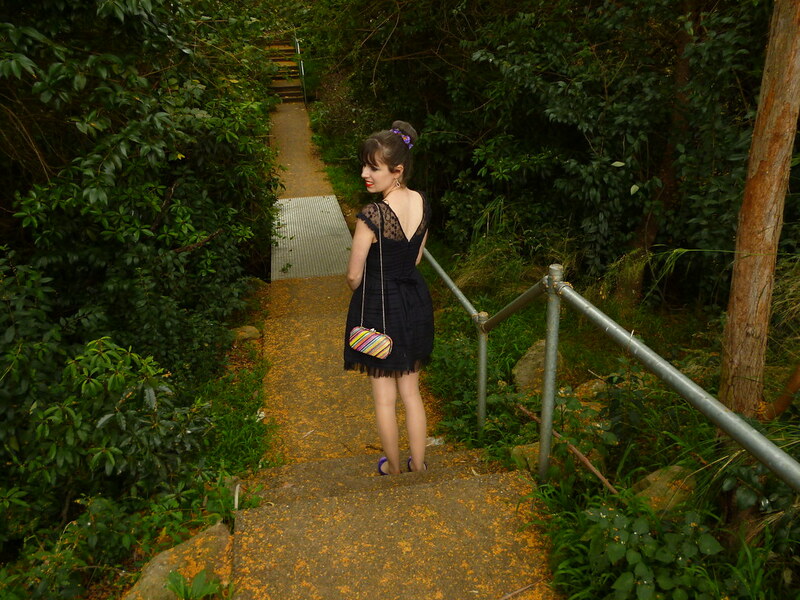 I love the black dress I’m wearing in this post because of the lace, the low back and the netting (nettting on dresses and skirts is actually one of my favourite elements of fashion, I just wish there was more of it around). I also have this dress in light blue because I love it so much which I’m sure I’ll post eventually…Now onto the accessories. I received this stunning Colourful Diamante Embellished Peacock Tail Necklace courtesy of Chicnova. The moment I received my package of lovely unique treasures, I was instantly drawn to this particular piece. 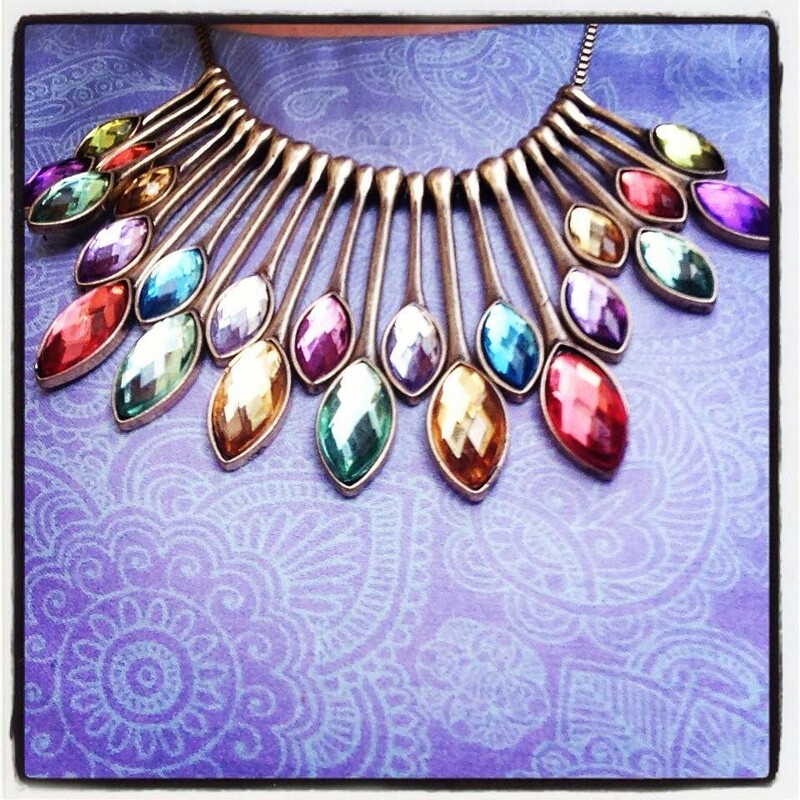 I don’t have a great deal of statement necklaces so this is definitely a special addition too my jewellery collection. I definitely recommend you check out the Chicnova website. Another accessory I love is this daisy bun ring which I purchased from Gloss. It seems like such a logical hair accessory for the ballerina bun; I’m quiet surprised these haven’t existed in the shops before now. An extremely inexpensive accessory, I believe it adds so much to an outfit. The daisy is also one of my favourite flowers (probably second only to the rose) and I adore the vibrant purple shade. 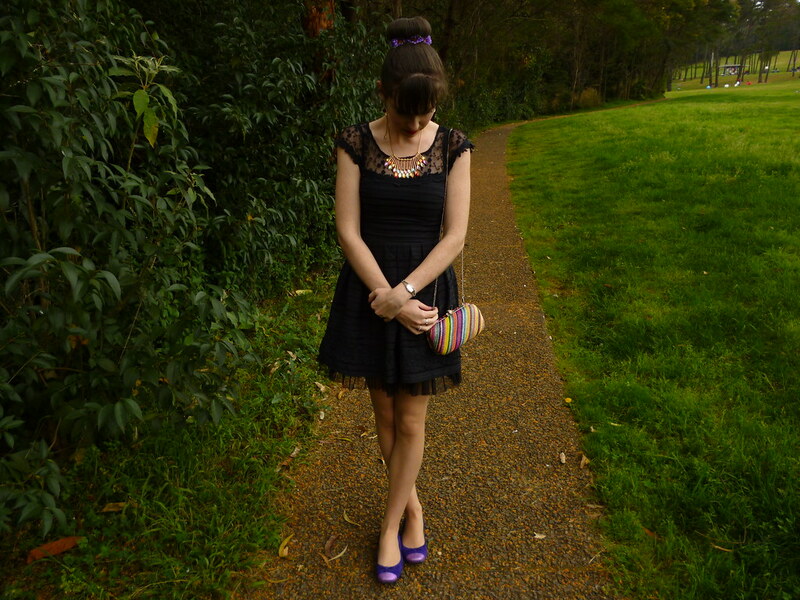 In addition, I thought it was the perfect opportunity to match my purple glitter flats and incorporate my rainbow beaded clutch bag. Yay for accessories! Thank you for your continue support my friends. It’s officially my last week at work so I’m feeling a whole range of emotions right now. I’m trying to remain positive but to be honest every day is a struggle; the whole experience still impacts me to a great extent. I would have given the world to have been given a fair chance, in fact I basically did give up my whole life for it. That was my dream job so it’s hard to let go. I have a few potential interviews lined up at other organisations but, as I know from this experience, nothing is ever certain until it actually happens. To think that this time next week I could be unemployed is rather frightening since it reminds me of such a dark time in my life. I do, however, have a lot more motivation for search for jobs and apply for graduate programs; the two contract jobs I performed this year also look good on my resume. The workforce has given me confidence. I can honestly say there isn’t much in life these days that scares me these days. I’ve learned a lot over the last few months, both positive and negative. Unfortunately I’ve realised that workplace experience and postgraduate qualifications are paramount in order to get a professional job; having a law degree and a commerce degree just doesn’t seem to be enough these days (as difficult as I still find that to believe). I used to think that the world would be mine once I had a law degree but that is simply not the case. As a result, I’m going to have a deep think about my long term plans and my career direction. I have no ideas right now, I just need to keep options open. As much as my recent experience has made me question whether or not hard work actually pays off, I do feel somewhat motivated to better myself and not entirely give up. My goals for life are widespread; I’d love to have qualifications in company secretarial and psychology and my ultimate goal remains making a meaningful impact in the fashion world. I arrived home from work a few hours ago and I’ve been enjoying the spring weather while sitting on the balcony ever since. 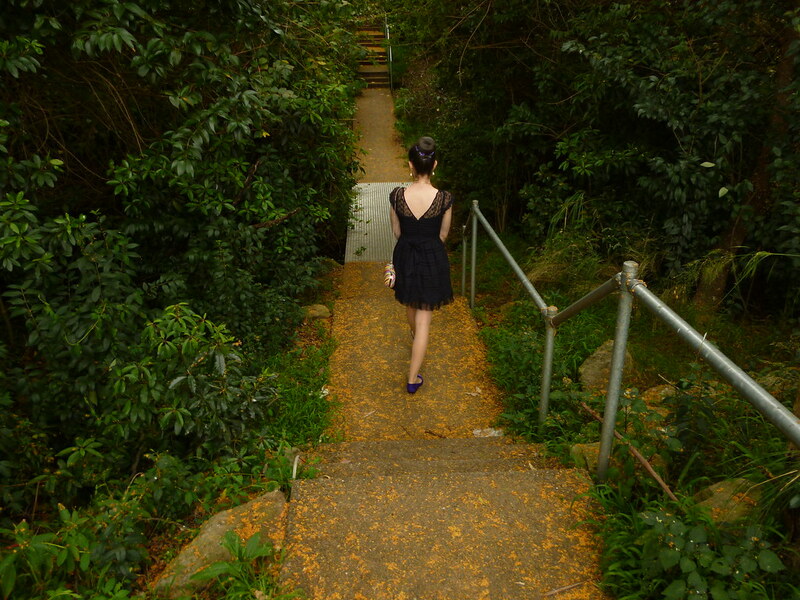 I just love it here, it’s the place where I reflect on my life. I like to view the pretty pink cherry blossom trees, while typing on my pink laptop, while wearing a beautiful pink dress while enjoying delicious pink wine. It was a hard day for me. It’s was my manager’s last day (she is going overseas tomorrow) and when she returns in a month’s time I will obviously no longer be working there. We were a wonderful team and I will miss spending every day with such a warm, friendly and positive woman. I truly believe I have made a friend for life and I hope we keep in touch as much as possible. I definitely see her as a role model and she’s helped me a lot. I admit I did come home and shed tear tonight. As devastated as I feel about this chapter of my life ending, I will never forget those few months of my life where I left truly happy and that one special person who helped me to start to believe in myself. It was incredible to find a wonderful friend who I was able to connect with. I just wish it didn’t have to end so soon. Wow, my blog is turning into a diary. 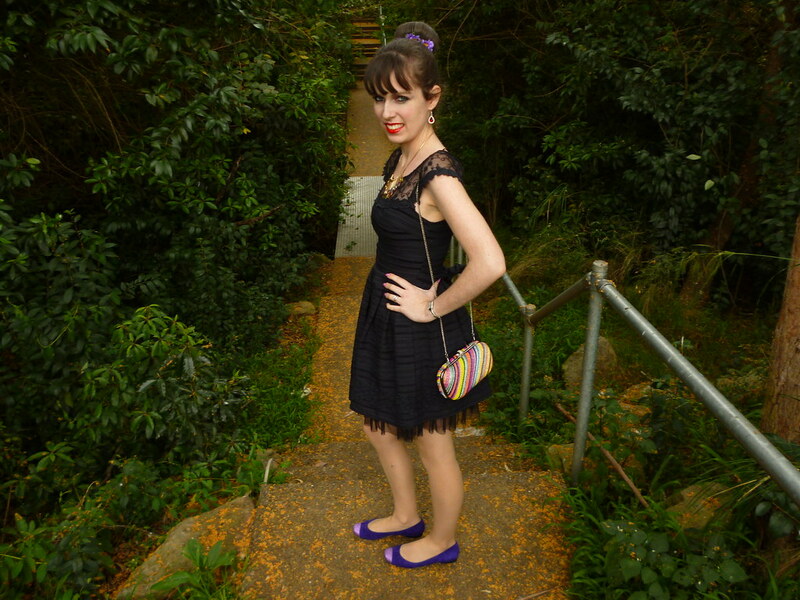 This entry was posted in Dotti, Forever New, Guess, Outfits. Bookmark the permalink. (((hugs))))I know you've probably heard this a million a times, but everything happens for a reason, and a better job is on the way for you. that necklace looks great!! so unique and such a statement piece! 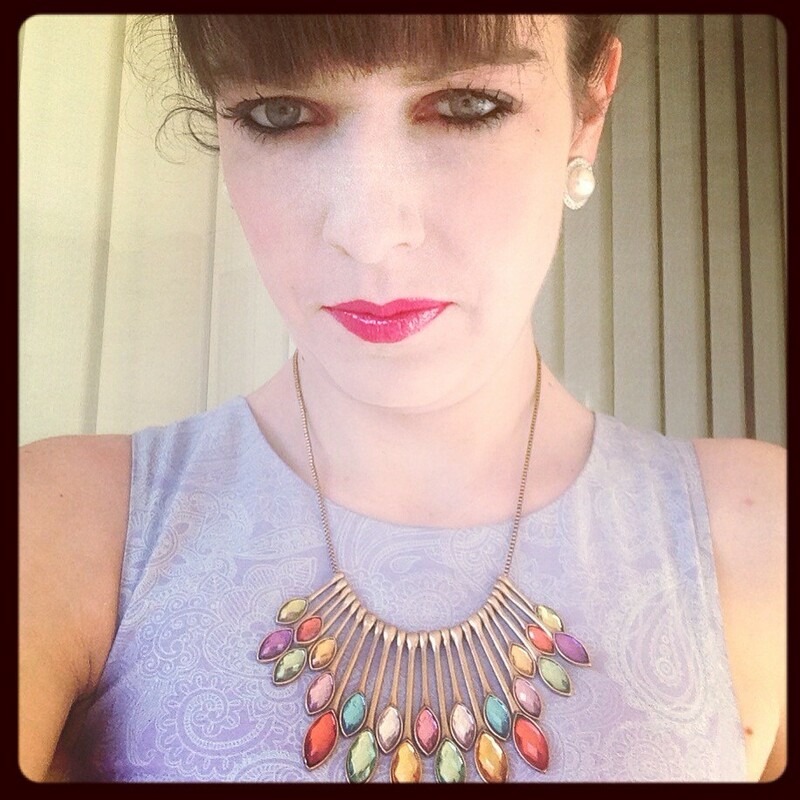 What an absolutely stunning necklace on a stunning girl! I love the uniqueness of it and how you could pair it with any color, or black as you showcased here! Wow, beautiful look hon! I love your dress and that statement necklace is just perfect! (It reminds me of little spoons) Thank you for your kind comment, I really appreciate it! Hey girl! Cheer up! You're such a lovely girl and I'm sorry you're feeling blue about having to let this job go! But you're brave (obviously, since you're a blogger and therefore open yourself up to critique every post!) and you sound incredibly passionate about what you do. Keep those traits in your back pocket and make them regret not scooping you up when they had the chance! you always have THE most fun accessories! i love the fun purse and shoes (and necklace!!) that made this dress a bit more casual for everyday wear. gorgeous! I love this dress and your bun is like SUPER perfect!!! Oh, that necklace is dazzling. It looks so pretty on you. I was just wondering what 'Tia Cherie' meant, as my name is Sheri too? Love the dress sooooooo much!!! Loveeeeeee your dress so much!! It looks lovely on you 🙂 And that necklace is drop dead gorgeous!